The match officials have launched the Whistle Stop Tour and plan to visit every Premier League football club by bicycle in a gruelling nine-day challenge. The tour begins today, 11 July, at Watford’s Vicarage Road, finishing nine days later at The Stadium of Light in Sunderland and covering an estimated 1,000 miles along the way. Moss and Atkinson will be joined by colleagues from the Professional Game Match Officials Limited (PGMOL). They are aiming to raise £50,000 for the two charities, and have already reached the £10,000 mark before setting off. Jon Moss said: “This is a major challenge and we are looking forward to it with excitement and trepidation. We really will be seeing the Premier League clubs from a different perspective and we look forward to meeting club personnel and fans along the way. The Tour begins with the London clubs, going to Southampton and AFC Bournemouth before a day-and-a-half journey to Wales, to visit Swansea City. They turn east to cross the breadth of England to go to Hull City, before heading north for Middlesbrough and finally finishing in Sunderland. 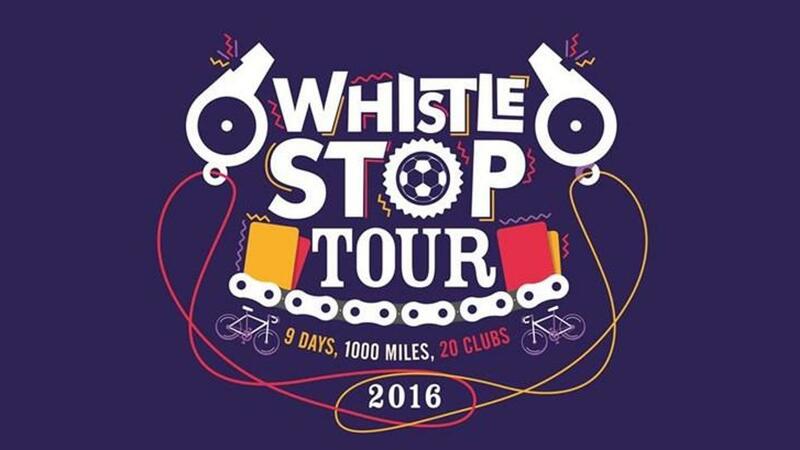 You can donate to the cause on the Whistle Stop Tour Just Giving page, where you can also access more information about both charities.